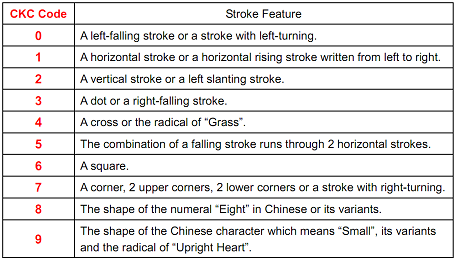 CKC encodes a Chinese character according to the stroke features of its 4 corners. The sequence is upper left corner, upper right corner, lower left corner and lower right corner (following the shape of the alphabet “Z”) respectively. 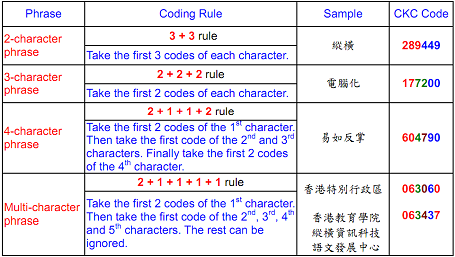 For example, the code of the character “我” is “0307”.